Right out of the gate, episode 9, “Doomsday,” answers one of the biggest questions posed by Runaways: What happened to Molly’s parents? 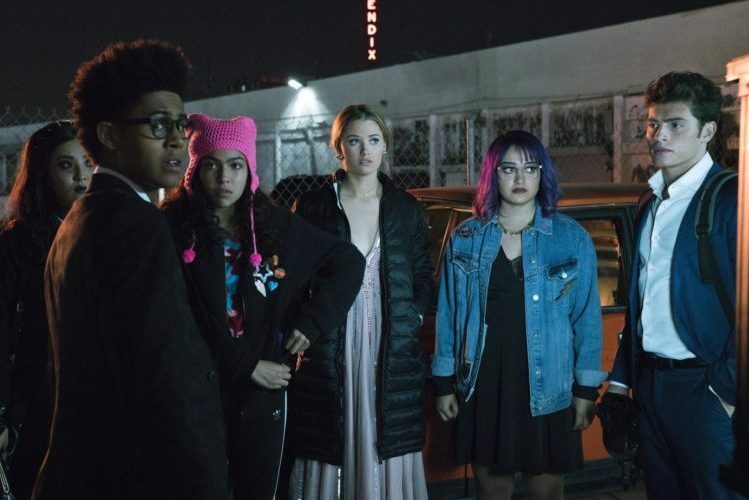 After several episodes of speculation, Runaways finally confirms that the Pride did murder Molly’s parents to cover up a bigger secret. In a flashback, we discover that her parents dug up a secret about Pride — literally. They discovered the land Jonah wanted to develop could cause disaster if disturbed. Just after they call to tell the Yorkes, someone throws a bomb into their lab with Molly inside. Outside, we see Leslie in her trademark white pantsuit walking away from the scene. Left under the rubble is Molly, holding one of the glowing rocks her parents found during their geological survey of the land. She seems unscathed and her eyes flash yellow, the same as when she powers up. Back in the present day, Karolina confides in Frank and he offers to help Karolina with her investigation. Somehow I can’t trust Frank even if he has always been a good dad to Karolina. The evil Jonah has given him the one thing he really wants, which is to matter to someone. Remember when we had to pity Frank? Now he’s become as ruthless as the rest of them. After he destroyed the evidence last episode, Chase now seems conflicted about what to do with the Pride. And even though the team is still shaken by Chase’s betrayal, they decide to go to the school dance together. Because it’s a teen show, duh. You really thought we could go a whole season without a school dance? The adults make their way to Geoffrey Wilder’s construction site, the same one Molly’s parents originally found to be unstable. Jonah, however, is scarce with details when asked about the renewable energy source he’s promised they’ll find once they dig up the land. One of the strongest parts of this show that differentiates it from the comics is the moral dilemma we see the parents endure. Even the more ruthless characters, like Tina and Leslie, have shown moments of doubt about their involvement with Jonah. They’re all so close to being done with Pride (or at least they think they are), but the question of whether Jonah’s plans will unleash more evil nags at them. But for all their doubts, none of them have tried to stop him. That burden falls to their children. Molly makes her way back to Atlas Academy with the videotape and the gang goes to the AV Club room to use the VCR (honestly, Stranger Things made the AV club cool again). The video reveals to the group what we saw in the flashback, but seeing her parents on screen and knowing what they died for is even more heartbreaking for Molly. Does Allegra Acosta tire of having to cry so much on this show? If so, she’s not showing it and gives a convincing performance with all of her dramatic scenes. At the school dance where they’re meeting before going to explore the construction site, Gert approaches Chase and reveals that she doesn’t hate him she just hated feeling invisible. She asks him for one last dance before “the world ends,” and they end up hooking up. It’s a really beautiful scene despite the teen melodrama and it’s nice to see Ariela Barer get to play Gert as vulnerable. While searching for them, Karolina follows her own heart and kisses Nico. Seeing these two pairs finally get together feels right after watching the awkward dance of young love all season. Sadly, as I predicted, Frank bungles helping the kids and instead reveals to Jonah everything he knows. Jonah, knowing all of the Pride members lied to him before, threatens all of them to find their children or face the consequences. In a side plot, Geoffrey’s old nemesis Darius spies on the construction site and tries to explain to his pregnant girlfriend all the things he saw that night when he faced the Runaways, like a wand and glowing fists, and she retorts, “You said you were OFF the drugs.” In a dramatic episode, it’s nice to have a laugh. Kudos to Josh Schwartz and Stephanie Savage who have created a show so grounded in the best of the teen drama genre that you sometimes forget how wild the plot actually is since it’s also a comic book show. The Runaways manage to break into the site and shut down the drill that would have disrupted the land and caused earthquakes, but when Nico tries to use the staff to fill the gaping hole in the earth it doesn’t work. It flies out of her hand and right into Tina’s. The two groups face each other, with the children finally confronting their parents for the Pride’s sins. We’re left with a standoff heading into the season finale. After a sometimes slow-burning season, the conflict that’s been built up from the pilot finally reaches a boil. We’ve seen both groups, parents and children, struggle with their decisions. Now, however, it’s time to pick sides. 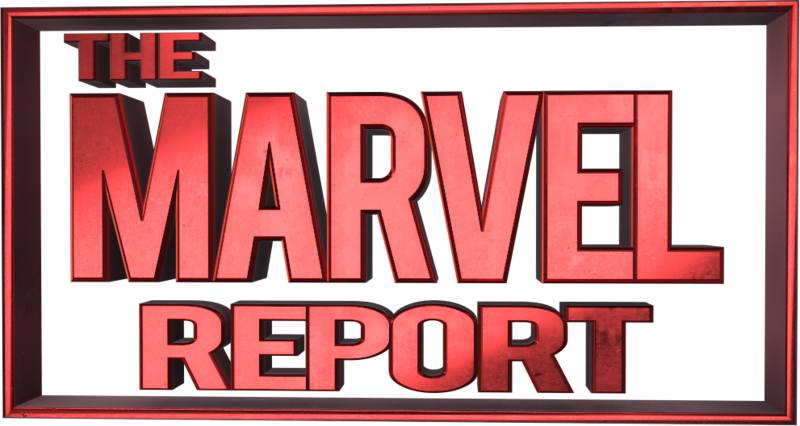 At 45 minutes, this was the shortest episode of the season. However, it benefits from the quick pacing and sets up the finale nicely. Seeing Old Lace sit in the backseat of Gert’s car makes me sad they haven’t used her more this season. Based on the few number of times we’ve seen Karolina’s powers I’d guess it’s a CGI budget issue, so I wonder if they’ll have more money for it next season. Quote of the episode: “It’s literally the club they use in every teen movie to show how uncool someone is” – Gert, when Alex talks about the AV club. I love when Runaways gets meta.